The Young Millionaires Program is a summer business and entrepreneurship program for youth aged 8 to 16 years. The program is designed to assist youth to discover more about the world of business and help them get started in a business of their own. Check out this video from one of partnerships from summer 2017! Thanks Elise and Mollie for sharing your story. The Award of Excellence goes to a young individual entrepreneur or a partnership of young entrepreneurs who have overcome obstacles, have shown personal growth, have reached their goals, either financial or other, have shown creativity in their product, have shown good customer service and have found a product worth developing. 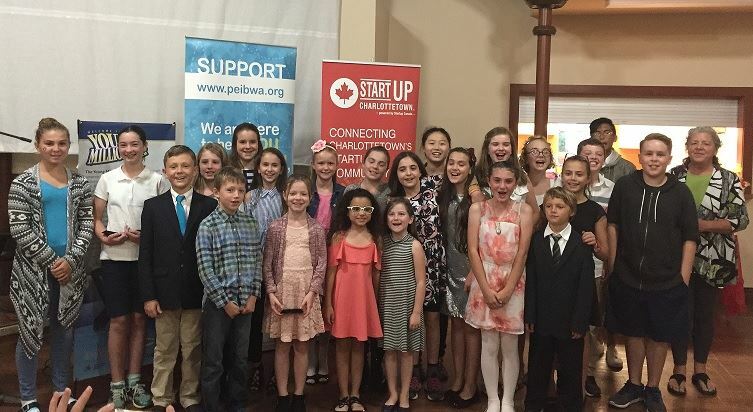 The Young Millionaires Program has been running since 1991, and is funded through the Atlantic Canada Opportunities Agency (ACOA) Business Development Program and Innovation PEI. It is delivered across PEI by regional business service agencies, including PEIBWA for the Charlottetown area. The program is offered free of charge to participants.